‘Help is here but we need your support’ say Wetherby and District Foodbank, as new stats reveal the rise in food for children is behind increased foodbank need during holidays. 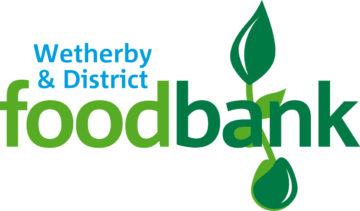 Wetherby and District Foodbank has asked local people to check what donations are most needed in the area this summer, following the figures revealed today by anti-poverty charity, The Trussell Trust. The Trussell Trust’s network of over 420 foodbanks, which Wetherby and District Foodbank is part of, provided 3,500 more three day emergency food supplies to children during July and August 2017 compared to the previous two months. “Lots of people are just getting by day-to-day but find their income simply won’t stretch to meet the extra pressure of missing free school meals or paying for extra childcare during the holidays. Help is here in Wetherby. Everyone who comes to the foodbank is referred by a local agency who holds our vouchers, so we’d encourage anyone worried they won’t be able to afford food this summer to talk to the One Stop Centre, Children’s Centre or Connect Well. “Foodbanks cannot, and must not, be a long term solution to hunger at any time of year. No one should face going hungry, and although our network will be doing all they can this summer to help families struggling to make the money they have stretch to cover the essentials, no charity can replace people having enough money for the basics”.